Spring has most definitely sprung at Lucid Group as they welcome three new employees to their team. Laura Cunliffe joins as a Senior Account Manager at Leading Edge and will be based at their office in Beaconsfield Old Town. Laura is an experienced account handler with over 6 years’ experience working in healthcare communications. Cynthia Chen joins Lucid Partners as a Senior Medical Writer, working out of their London office. Cynthia is an accomplished medical writer and academic who holds a PhD and two MSc degrees in multiple biomedical and bioethics disciplines. Cynthia brings a wealth of medical writing capabilities and insights into numerous therapeutic areas. 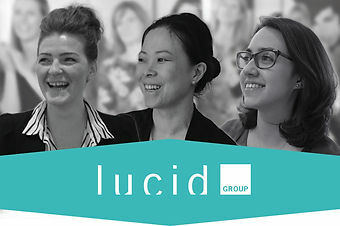 Lucid Group have also expanded their team of Futures Executives with the hire of Chloe Powell. Chloe was working as a post-doctoral researcher at the University of Oxford after completing her DPhil in Pharmacology.